“MOMMMM! Can you hear me?! I’m singing a song for you,” my nearly 4 year old screamed from the next room. …and was sweetly serenading me with every word of her made-up song for me. These are the moments I feel like I have my life together. Where I can get my own tasks done, feel in control, and not miss out on fleeting memories. 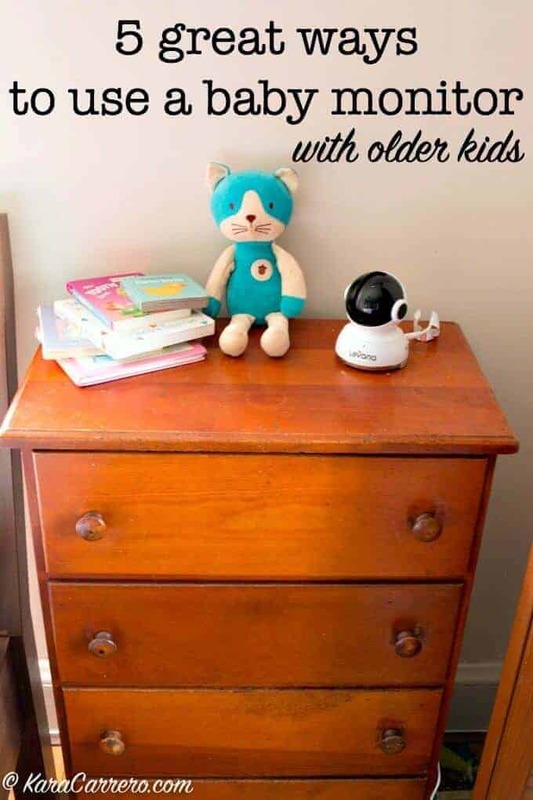 So whether you are looking at just getting a monitor or don’t know what to do with the video baby monitor you already have, but you don’t have babies anymore, there are some awesome uses for it with toddlers and preschoolers…whether by coincidence or not! Affiliate links included to our baby monitor! 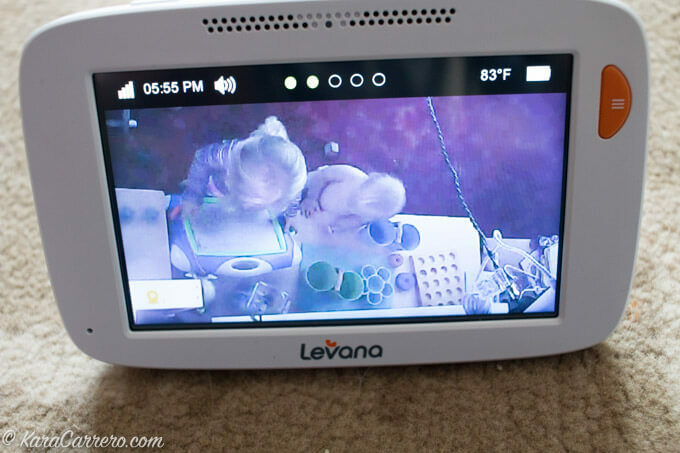 We personally have a Levana Mylo baby monitor and an extra camera. It has a video touch screen that displays at night and works in color during the day. Choose a monitor that’s right for your situation. Ours is right for us because my kiddos are on the go and I need to be able to see the entire room by panning the camera around (we mounted it up on the wall in one room even). I also love that with the one we have, it has an intercom function so that I can talk to my girls when needed and the two-way communication is invaluable! Finally, know how many rooms you want and need to monitor. While of course you can move cameras when needed, it’s easier to just have them permanently placed. Ours allows for up to 4 cameras to be connected at the same time which is super helpful! Side note… make sure that you’re getting cameras that are secure so no one from the outside can get an insider’s view to your house. The Mylo is a closed wi-fi system meaning it doesn’t even have to connect to our internet and each extra camera has to be manually connected with the monitor to set it up. This ensures that someone on the outside can’t come in an push that button to establish a connection. We actually never had a baby monitor when our kids were infants. But now that I have an almost 4 year old and a toddler who thinks she’s running the whole house, having a video monitor has been truly extraordinary. From the squeals of laughter to the small thuds during the rough and tumble phase, it’s hard to not want to miss out on it all. But my kids need their independence and I still need to get work done. Many days I need to get something done on the other side of the house while my kids are wanting to play in the playroom. Sometimes it’s totally fine to let them without the monitor, but I also know if I need to stay out of the room for extended periods of time that I might need to moderate the bickering or just check in to see them sweetly playing together. Sometimes just the ominous mom voice coming from the monitor is all I need to break up the hair pulling. Set timers for quiet time and nap time. I love timers. They seem to hold so much power. However, a timer with a video function is like holding the key to the universe. We have mandatory quiet time in our house whether it means snoozing for a bit or just quietly reading or playing. Setting a timer on the monitor makes this easier and sometimes I even set it to play music softly in that time so that my kids also know when it goes off, we’re on to our next task for the day. Freely giving them reign of the house allows them to feel more capable and in control. But then if they know the monitors on, it also helps them know you’re never far away. 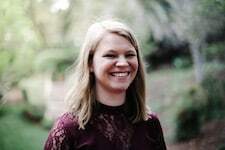 So whether you’re trying to convince your older child to stay in their bed, you need to go outside for a bit (confession: I have been known to just run down to get the mail and get caught in a 30 minute conversation with a neighbor), or are just encouraging independence in your children in general, it’s a great tool. Use the timer function for a “sanity break”. Momma needs a break sometimes and has reached her limit. So again, setting the timer in the playroom and letting them know when the music stops, they’re free to be is a great way to find time for you and refill your cup. During this time read a book, relax, pray, drink a cup of tea, or even watch that show you can’t around your kids. 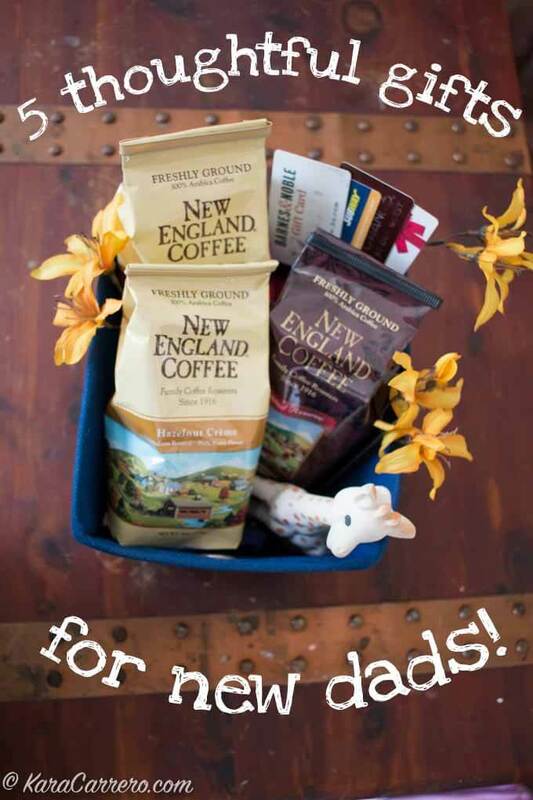 Put your kids on task while you get chores done too. Family cleaning day is a lot more effective when everyone is working on their own thing at the same time instead of having to follow every footstep of your kids. 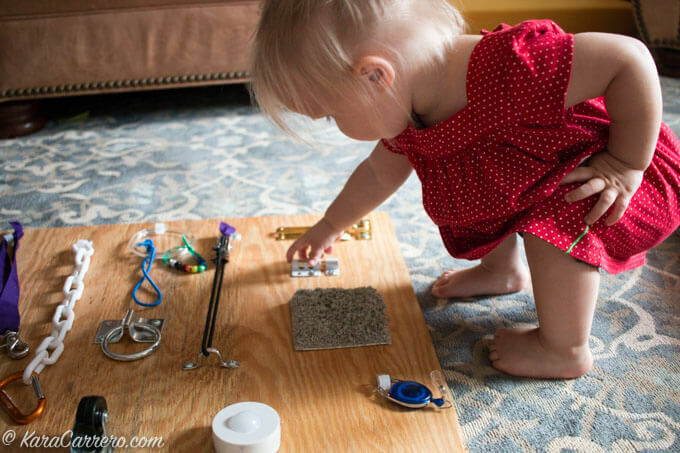 Even our youngest toddlers do chores in our house, but it’s easy to get distracted by the shiny or squishy things when you’re only 18 months old. Having the monitors on and carrying the screen with you to check in to make sure they’re pulling their weight is invaluable. I can use the voice function to remind them to stay on task or to answer questions they have as they’re working without leaving my own job unfinished to go help. What ways have you used a monitor once your baby got older? We are moving a monitor out into the living room with a view of the front door to keep an eye on things when we’re out of town or have a babysitter over. We’ll let the babysitter know that we’ll have views from the kids room and main room and we might peak in sometimes. I love that idea! We live upstairs and I have thought about doing something at the bottom of the stairs. Maybe when the kids are even older we’ll move a monitor down there. Yes! Although I haven’t used a baby monitor for either of my children, my grandmother is a late stage Alzheimer’s patient. My mother has been her full time caretaker for the last three years. The baby monitor has been a lifesaver, both literally and just for peace of mind. We’ve never had a monitor with either of our kids but, now that the toddler is more independent and can go play in his playroom while I nurse little brother down for a nap, I’ve seriously been considering one just so I can have eyes on him during all the mysterious thuds and crashes! Thank you for this post and recommendation of a monitor you trust! It’s nice to feel validated that I’m not crazy for wanting a monitor for the toddler! It DOES seem so silly wanting a monitor after they’re babies, doesn’t it? My oldest loves knowing that I am listening to her and that she can tell me stories and sing me songs while we both do our own things. In fact, we have put the monitor down in the basement before so that when my husband is working down there the girls can see hi, know he is home, and press the button to talk to him on occasion. It’s so precious! As the new mother of a 7-week old, I really enjoyed reading these unique uses for monitors that I can use in the future. 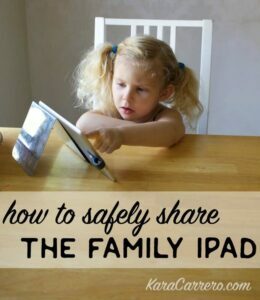 I especially like that you can use a monitor to teach your children to be independent, yet still be able to watch them. I didn’t know that monitors had timers on them: how cool! I look forward to using these suggestions in the future. Thank you! Congrats Susie! I think that my number one concern when I was a new mom is only buying things that would last and I didn’t think I would be able to use a monitor beyond infancy. So it’s definitely exciting to see that it’s going to be a valuable tool both with our new one coming but also for the big girls. The timer on mine is huge! Mine also has a feeding log type of thing too where if you’re breastfeeding you can click on which side you fed from last which I thought was neat! A family at church recently had a child of 4 fall and break his leg. Because he couldn’t walk to the bathroom or to get his cup, they used their monitor to hear him call. That way he had some independence and the adults could do the things they needed to as well! That’s such a wonderful use. 🙂 You never know when those things will happen so now I feel like we need to keep our monitor forever. It’s like the new and improved version of “ring the bell if you need me”! Thanks Rosey! I would have never thought of that use or to pack it while traveling. Great tip! It could even be good for camp counselors to make sure everyone is staying in bed… or I could have absolutely used one when I was a teacher and chaperoned a trip overseas with teens haha! Playroom was what we were thinking but we didn’t have a video one until our one year old started sharing a room with his big sister. Just knowing we could check on them gave us peace of mind. Yes! And a little peace of mind goes a long way. Um you can get your 18 month old to do chores?? We’ve been thinking about getting a video monitor for a little while now, even though our twins aren’t babies anymore. They enjoy playing in their room alone, but I find myself worried about outlets (like where the lamp is plugged in) and choking hazards that haven’t been discovered – it’s when they play quietly that scares me the most! YES! She does basic chores and our oldest started doing some around 14 or 15 months. Our youngest cleans up spills, helps feed the dog, and puts dishes away in her own small cabinet (there are more in this chore list). Since we take our children with us to work conferences, a monitor is mandatory! We can put the kids down in the hotel room and chat with friend down the hall without waking the kids while still keeping tabs on them. A friend tried to accomplish the same freedom with an older child but without the monitor and came back in to check on her and found her covered in vomit:( All of our colleagues are proficient in hotel conference monitor use. Oh my goodness! Such a fabulous idea. I went to a conference last year when my youngest was only about 6 months old and that would have been HEAVENLY to have had. I wore her most of the time but wound up having to leave early because she was struggling to sleep with it being so noisy. It would have been glorious to take her and let her sleep with a baby monitor while I chatted longer in the lobby. Yes, we use our baby monitor for all sorts of things. 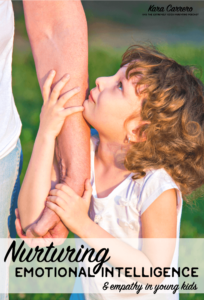 I especially loved it when our kids were smaller and I had to go out and check the garden or do yard work outside. It allows you to know and still be productive around the house. We also thought to use these with our grandparents when we were taking care of them since we didn’t need them for our children any more. Such a great post! And that’s a cool monitor. I’ll have to check that out next time we need one. When my 88 yr. old father broke his back and was confined to a hospital bed at one end of the house we were faced with the dilemma of how he would be able to stay in contact with my mother. 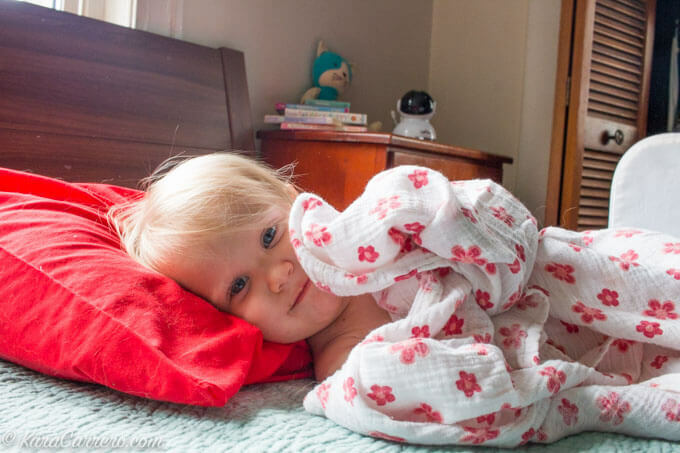 With her hearing being somewhat limited, yelling, ringing a dinner bell or blowing a whistle were just not effective; that’s when we decided to try a baby monitor and it was a life saver!! With the monitor in his room and the speakers in the room where my mom was, she was now able to monitor his well-being and hear when he was in need of something. This not only saved her many unwarranted trips to check on him but also eased his frustrations in knowing that he could contact her at any time. Only wish we would have had the one with the visual monitor. It would have given my mother even more peace of mind.